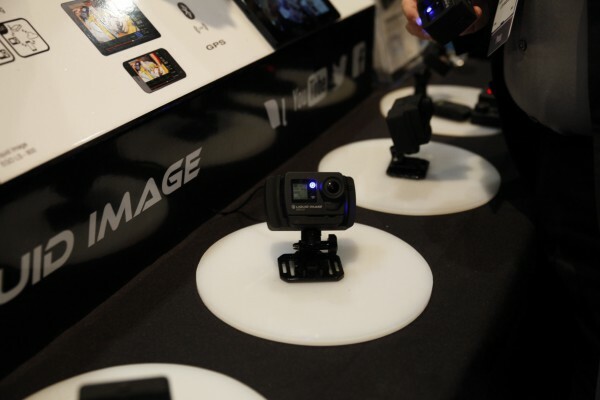 The Liquidimage EGO LS 800 is basically a GoPro with 4G LTE capability. It lets you stream a live feed to your computer or smartdevice , or send the recorded files. It can also send a continuous photo stream. All you have to do is put it in it’s ‘4G sled’, and voila. There will be both a Verizon version and an unlocked GSM version. 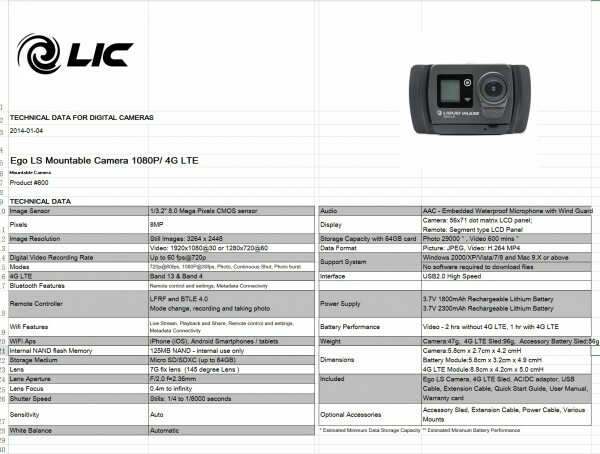 While it does have a few interesting features that the GoPro lacks, it can only record up to 1080p. For example it can remain in standby mode for over 24hrs before being turned on with a remote control. The camera will be $399 and will start shipping in the first quarter of 2015. Also, not that I dislike the GoPro, but this camera just looks a lot better. 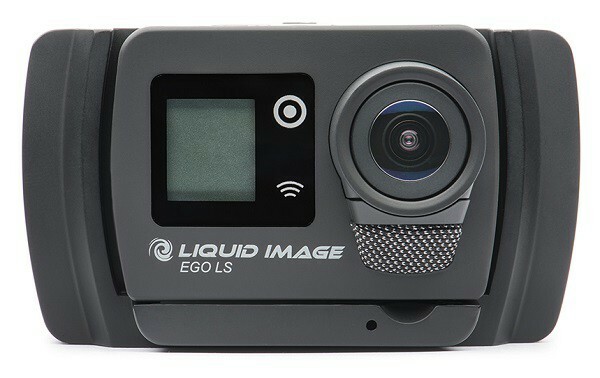 •	The Ego LS camera can record videos or photos while streaming over 4G LTE or Wi-Fi. •	Video Record settings include: HD 1080P video at 30fps, HD 720P at 60 fps, WQVGA video at 30fps and Looping Continuous Record. •	The live stream is currently set to WQVGA with options to select the quality of the stream (High 1.5Mbits, Medium .75Mbits or Low .5Mbits) to fit the network environment and desired data usage. •	Estimated Data usage is 250MB per hour (1GB per 4 hours) for the medium quality setting. •	Photo record settings include: 8 MP, 5 MP or 3 MP Photos, Continuous Shot, and Burst modes. •	Memory compartment holds up to a 64 GB micro SDXC card, to record thousands of still images or hours of HD video. •	4G LTE Sled Battery is 2200mAh with an estimated battery life of 1 hr while streaming and recording simultaneously and with Wi-Fi and Bluetooth on. •	The Accessory Battery Sled is 1900mAh with an estimated battery life of 4 hours while streaming WQVGA over Wi-Fi, recording HD and WQVGA, and with Bluetooth turned on. •	The Accessory Battery Sled is estimated to last up to 4 hours while only recording HD1080p and WQVGA Videos. •	Accessories include remote control, mounts, and waterproof housings. Items that are included and items that are sold separately will be listed at the time of the Ego LS launch.